The Aubuchon family, which has provided generous support to the United Way of North Central Massachusetts on many previous occasions, has now worked with the organization to donate 100 backpacks, each one filled with supplies for the upcoming school year. “It is important to Will and me to teach our children the value of community service. 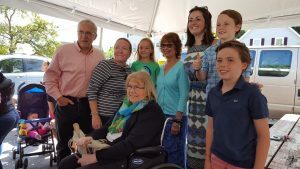 We brainstormed with Fran Longton at the United Way of North Central Massachusetts in July about ways to help the community,” said Gretchen Aubuchon, whose family owns the Aubuchon Hardware chain. Liam, Burke and Lucy discussed various donation ideas during their meeting with Gretchen and Longton. Helping other kids quickly became their top priority. They decided to donate backpacks for children returning to school in a couple of months. The Aubuchons chose to donate the backpacks to the Spanish American Center in Leominster after learning about the high needs of the Puerto Rican hurricane evacuees who are getting assistance from the center. “Will and I realize that having our kids help other kids would make the biggest impression on them,” Gretchen Aubuchon explained. After purchasing the backpacks, the Aubuchon family teamed up with the New England Football Club and the Esil family to put pencils, notebooks and other school supplies (including folders and pencil sharpeners) into the backpacks. On Aug. 23, the Spanish American Center hosted a backpack day and invited the families in most need of assistance. It was an exciting day for the families, the Aubuchons, the Spanish American Center staff and the United Way. The reward was seeing the smiles of happiness of the children that chose their backpacks. “We’re thrilled that we had the opportunity to do this,” Gretchen Aubuchon said. State Rep. Natalie Higgins awarded Liam, Burke and Lucy with a citation to recognize their efforts to help other children. Also, Spanish American Center Director Neddy Latimer called from Puerto Rico to express her thanks. Gretchen and Will Aubuchon and their children will continue collaborating with the United Way to find new ways to help the families in North Central Massachusetts. The United Way of North Central Massachusetts invites other individuals and families to also contribute backpacks and school supplies, or to make a financial contribution to support the United Way’s many education initiatives. The Spanish American Center cannot do the work it’s done for five decades without support from both the community and local organizations. The support from the community was visible last Saturday, when people dodged raindrops at times and stood under tents for the center’s annual Community Block Party, which also marked the center’s 50th anniversary. Stop by the Spruce Street home of the Spanish American Center a day earlier, for example, and the support it gets from local organizations, in the form of grants, would have been on display during its annual Summer Youth Program. The program ran from early July (with some activities starting in late June) through Aug. 4, and served around 100 children over the five weeks, according to program coordinator Christina Gonzalez. Overseeing the program with Gonzalez are 10 volunteers and 10 staff members. Local teenagers have in the past worked at the summer program, and been paid for their work. But this year, for the first time, the Spanish American Center received funding from the state attorney general’s Healthy Summer Youth Jobs Grant Program — enough to pay five local teenagers to work 12 hours per week. 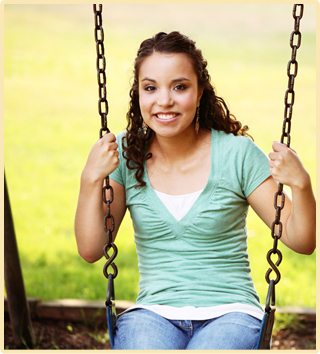 “Emotional learning is a really big component in our summer program as well,” Gonzalez said. Attorney General Maura Healey got a firsthand look at the work Gonzalez and others do during the Summer Youth Program when she toured the Spanish American Center a couple of weeks ago. Congressman Jim McGovern (D-Worcester) recently hosted his fourth annual Summer Food Rocks Tour to highlight USDA’s national Summer Food Service Program and how it helps ensure that low-income students in Massachusetts do not go hungry during the summer months when school is out of session. The tour includes visits to schools and summer meals sites in Athol, Greenfield, Leominster and Worcester. “Today I’m proud to host our fourth annual summer meals tour to raise awareness about how this program helps low-income students in Massachusetts and across the country get access to the healthy meals they need when school is not in session,” McGovern said. “For millions of low-income students, summer break isn’t as carefree as it should be. During the school year, they have access to reliable, healthy school breakfasts and school lunches. But, when school’s out, these children — and their families — are often left scrambling to find enough to eat. As part of McGovern’s fourth annual tour, he is leading roundtable discussions with national, state and local leaders to talk about how the summer food program helps communities in need and visiting summer meals sites across the region. Joining McGovern’s on the tour were leaders from the USDA, the Massachusetts Department of Education, state legislators, including state Rep. Natalie Higgins (D-Leominster), as well as community and local leaders across Central and Western Massachusetts. The USDA Summer Food Service Program ensures that low-income children continue to receive nutritious meals when school is not in session. This summer, USDA plans to serve more than 200 million free meals to children 18 years and under at approved SFSP sites. McGovern visited the summer meal site by the Spanish-American Center at Riverside Village Apartments in Leominster. There’s still lots going on in Leominster during the summer months. The Farmer’s Market takes place from 9 a.m. to 1 p.m. on the Common every Saturday. The Colonial Band concert series started this Tuesday at Carter Park at 7:30. Thursdays is the weekly band concert at 7 p.m., also at Carter Park, Movie in the Park is coming up at Barrett Park on the 14th at 7:30 p.m., the Johnny Appleseed Craft Beer Fest is back by popular demand downtown on the Common on Aug. 5 from 4-8 p.m., Ladies Night Out is Aug. 10, and don’t forget the Fox 25 Zip Trip coming to Sholan on Aug. 11. Get some sleep and show up at 5 a.m. to get the place hopping! The Spanish American Center in Leominster is pleased to provide the community with the following free Breakfast Cafés and Soup Kitchen Suppers. All are welcome. Breakfast Cafés are offered Mondays from 8-10 a.m. at (and with) Fitchburg New Life Christian Church, 63 Fairmount St., Fitchburg, and Tuesdays and Fridays from 8:30-9:30 a.m. at the Spanish American Center, 112 Spruce St., Leominster. Soup Kitchen Suppers are offered from 3-4:30 p.m. Wednesdays and Thursdays at the Spanish American Center’s David L. Higgins Jr. Cocina, 112 Spruce St., Leominster. The Leominster Spanish American Center, Inc. is a registered, nonprofit social service agency serving the greater Leominster community. For more information, visit www.spanishamericancenter.org or call (978) 534-3145. The Spanish American Center, along with Enterprise Bank in Leominster, is sponsoring a “Back to School Get Together” for children and parents from 3-6 p.m. Thursday, Sept. 1 at the center, 112 Spruce St., Leominster. Stop by for free school supplies and information about the Spanish American Center and its year-round after-school programs. To sign up, or for more information, call Mickey Guzmán at (978) 534-3145, ext. 114. All school-aged children who attend, accompanied by a parent, guardian or other adult family member will receive school supplies. Donations of supplies made through the generosity of Enterprise Bank in Leominster and the generosity of the Leominster community. If interested in making a donation of school supplies, please bring them to Enterprise Bank in Leominster through Friday, Aug. 26. Attending the recent grant distribution were, back row, from left, Tara Rivera and Sharon Nolli from Fallon Health, Lisa Normandin from the Lunenburg Turkey Hill Family Lions Club, Pastor Michelle Feliciano, Pastor Louis Feliciano and Hector Ramos from the House of Grace &amp; Restoration, Sue Chalifoux Zephir from Ginny&rsquo;s Helping Hand, Mark Maxfield from United Neighbors of Fitchburg, Brian Calnan from Catholic Charities, James Knight and Scott Arnold from Highland Baptist Church, and Kimberly Salmon from Fallon Health, and, front row, center, Kylee McCumber from Kylee&rsquo;s Kare Kits for Kids, Mary Gianetti from Heywood Hospital and Joanne Foster from the Growing Places Garden Project. Organizations that help feed North County residents gathered in Leominster recently to receive grants from Fallon Health to continue their efforts. Kylee’s Kare Kits for Kidz hosted the grant distribution, which saw almost a dozen groups from Leominster and beyond receive between $1,500 and $2,500. According to Director of Community Relations Kimberly Salmon, Fallon Health this year funded 65 organizations across Massachusetts that fight hunger with $167,000 in net proceeds from its 10th Golf & Gather FORE a Cause event in September. The Worcester-based nonprofit health care services organization, which runs a health maintenance organization and Summit Eldercare (which has a location in Leominster), changed its hunger relief program for 2015-16. Instead of giving out unsolicited grants, Fallon Health moved the program online and asked organizations to submit applications. “We really wanted to see how we could expand the program, how we can make the resources go further, and how we can look at a different way of addressing the issues,” Salmon said. • Casa de Gracia y Restauracion (House of Grace and Restoration), Fitchburg — $1,500. • Catholic Charities of the Diocese of Worcester — $2,500. • Gardner Community Action Committee — $2,500. • Ginny’s Helping Hand, Inc., Leominster — $2,000. • Growing Places Garden Project, Leominster — $2,500. • Heywood Hospital, Gardner — $2,500. • Highland Baptist Church Food Pantry, Fitchburg — $1,000. • Kylee’s Kare Kits for Kidz, Inc., Leominster — $2,000. • Lunenburg Turkey Hill Family Lions Club — $1,500. • Spanish American Center, Leominster — $2,500. • United Neighbors of Fitchburg — $2,500. The Spanish American Center, in cooperation with Medical Associates Pediatrics and HealthAlliance Hospital, is excited to announce an Asthma Awareness and Education Program regarding childhood asthma. On Wednesday, March 2, Dr. Fernando Catalina, a Leominster-based bilingual/ bicultural pediatrician, will speak in Spanish to provide an informative presentation with ample opportunity for questions. English translation will be available as well, and all are welcome. This will take place on the HealthAlliance Hospital-Leominster campus at 60 Hospital Road, in the Simonds Building, just behind the main hospital building. Free parking is available. The program will take place from 11 a.m. to 1 p.m., and refreshments will be served. The program is free of charge. Childhood asthma is a common and serious illness in the Latino community, and, with the help of funding from the North Central Community Health Network (CHNA 9), a multi-pronged program has begun to help families understand and manage asthma. The presentation by Catalina is part of this program. For questions regarding the upcoming program with Catalina, call the Spanish American Center at (978) 534-3145, extension 112 and ask for or leave a message for Sonia or Lionel. Beginning Wednesday, Jan. 13,(2016) Ginny’s Helping Hand and the Spanish American Center are teaming up to provide hot soup and sandwiches from 4-5 p.m. on Wednesdays and Thursdays. Meals will be served at the Spanish American Center, located at 112 Spruce St. in Leominster, and continuing each week through April. Both the Spanish American Center and Ginny’s recognized the need for a soup kitchen to provide hot meals to the hungry during the cold winter months. They were each awarded a grant from Fallon Health. Neddy Latimer of the Spanish American Center and Sue Chalifoux Zephir from Ginny’s are looking forward to launching this new service for the hungry. “We are very happy to be able to provide hot and healthy meals to those in need this winter,” Chalifoux Zephir said. Those wanting more information or wishing to volunteer should please contact Sue Chalifoux-Zephir at Ginny’s at (978) 537-1387 or Neddy Latimer at the Spanish American Center in Leominster at (978) 534-3145. Worcester County Sheriff Lew Evangelidis is pictured with members and staff from the Spanish American Center of Leominster during the sheriff’s visit to drop off winter coats for the Sheriff’s Annual Winter Coat Drive. The Sheriff ’s Coat Drive is an annual event that provides new or lightly used winter coats to families in need throughout Worcester County and is a collaborative effort between the Sheriff ’s Office of Community Corrections, Wachusett Mountain Ski Area, the Worcester County Reserve Deputy Sheriff ’s Association, Warmer Winters of Leominster, the Rutland Women’s Knitting Club, Bay Path Regional Vocational Technical High School in Charlton, Southbridge High School, Twin City Cleaners of Dudley, Independent Cleaners of Fitchburg, and many other local businesses and community partners. This year, the coat drive received a huge boost in early November with a special donation from Wachusett Mountain Ski Area of more than 1,500 ski jackets. During the distribution week, the sheriff paid a special visit to more than a dozen local charitable organizations to personally hand deliver thousands of winter jackets, including the Gardner Community Action Center, the Cleghorn Neighborhood Center and Our Father’s House of Fitchburg, the Spanish American Center of Leominster, the Rutland Food Pantry, St. Anne’s Human Services of Shrewsbury, Rhodes House of Recovery in Millbury, Tradewinds Clubhouse, Catholic Charities and Arc of Hope in Southbridge, and St. John’s Food for the Poor Program, Veteran’s Inc. and The Friendly House of Worcester. From left, Rollstone Executive VP Linda Racine, SAC Executive Director Neddy Latimer, President of the Board of Directors of SAC Richard Letarte and Martin Connors, Rollstone president and CEO. Rollstone Bank & Trust recently pledged $10,000 to the Spanish American Center in Leominster for its meal preparation program. The SAC prepares more than 1,000 meals daily for children during the summer and delivers as far west as Gardner. It also helps provide meals for homeless people temporarily housed locally. The proceeds will help the SAC convert its kitchen to a commercial kitchen, which has an estimated total cost of $225,000. 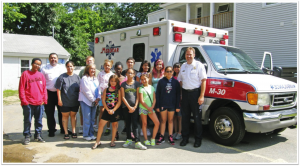 Tuesday morning, a group of local youths at the Spanish American Center were given a chance to learn about safety and being a medical emergency responder when Val Ramos and Andrew Harding of Medstar Ambulance visited the center. The youths got to tour the ambulance and learn about different life-saving tools. In photo, youths pose with Ramos (on left) and Harding (on right) along with Center Director Neddy Latimer, Youth Advisor Glory Rodriguez and staff member Chris Simmers-Swanson.